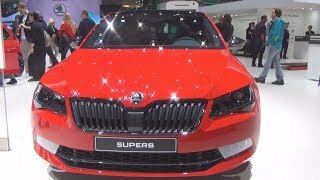 Skoda after launching its Skoda Superb last month now brings Skoda Superb Sportline 2016 which a more sportier variant of the company. It benefits a wide range of sporty elements and an upgrade to the base model’s exterior, interior and the equipments. It’s the most dynamic alternative in the latest Skoda lineup. 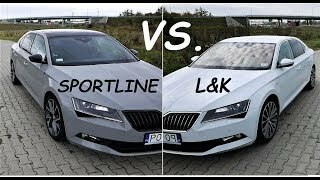 Let us have a close at the reviews of the Skoda Superb Sportline 2016 and get to know more about the features of the sport variant. The interior of the Skoda Superb Sportline 2016 is well versed than its basic models with some more elegant features. The Sportline 2016 comes with black colored alloy wheels of 18- and 19-inch size choices, dark-tinted rear windows and rear windshield (sunset), and a lowered ride height (chassis) by 15 mm. The interior of the model also comes with a three-spoke sports steering wheel with perforated leather cover, leather wrapped gear knob, exclusive seats with inspiring upholstery, aluminium foot pedals and carbon fibre accents. In addition it offers carbon fiber inserts on the dashboard, piano black inserts on the steering wheel, center console and gear lever, new instrument panel with black, white and red color combo, new sport seats with integrated headrests. 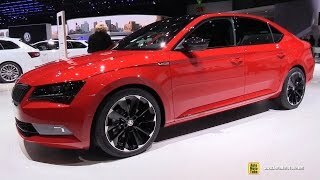 Skoda Superb Sportline 2016 comes with a special red color which is seen on the Monte Carlo editions of the brand. Exterior of Skoda is also been aided with matte black grille, blackened headlamp and taillamp cluster, piano black finish on the roof, tinted rear windows and rear windshield, roof spoiler on the bonnet and a lowered chassis (by 15mm). In addition to it, it also comes with black colored alloy wheels of 18- and 19-inch size choices, dark-tinted rear windows and rear windshield (sunset). All these features make the Sportline a classy Skoda ever to the market. 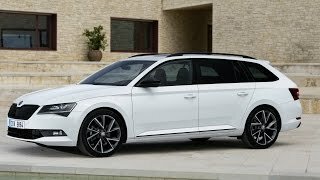 Skoda Superb SportLine 2016 is available with five petrol and three diesel engines, all of which are Euro 6 compliant and come with start/stop system and regenerative braking. 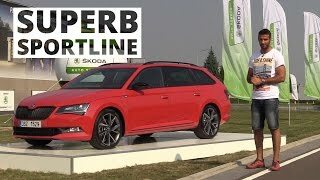 No mechanical change has been made to the Skoda Superb SportLine compared to the model it is based on. It also offers the engine options of 2.0 TDI and 2.0 TSI. The Transmission options include manual as well as DSG automatic.